"Sometimes I fear whether I'm even capable of love." 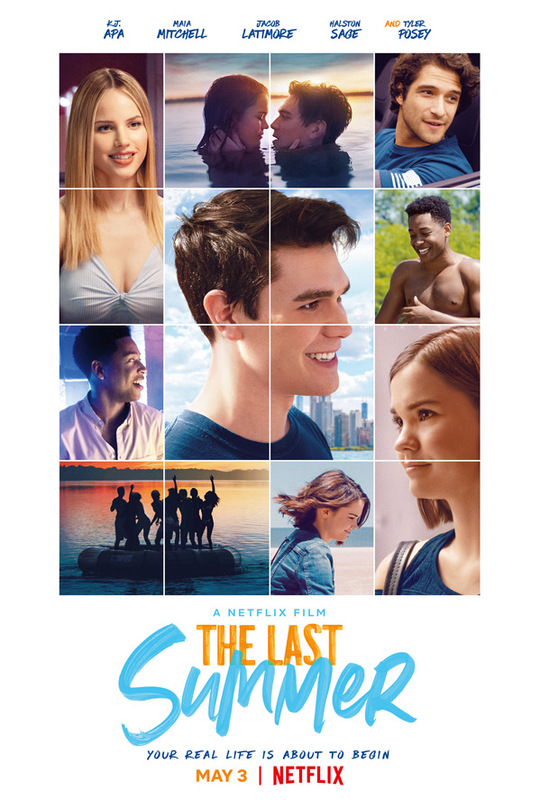 Netflix has launched an official trailer for a new indie romantic comedy titled The Last Summer, another one of these sappy end-of-high-school coming-of-age kind of films about a bunch of teens enjoying their last summer just before they go to college (also see: The Spectacular Now). Here's the cheesy Netflix synopsis: Standing on the precipice of adulthood, a group of friends navigate new relationships, while reexamining others, during their final summer before college. Set in Chicago, The Last Summer stars K.J. Apa, Maia Mitchell, Jacob Latimore, Halston Sage, Sosie Bacon, and Tyler Posey. As bright and as charming as this film seems, it is just another beautiful people falling for other beautiful people film, most likely repeating the same lessons to learn from other teen films. Featuring several intersecting stories, The Last Summer follows a group of recent high school graduates as they navigate their way through their final summer before taking off for college. As the youths wrestle with love lost and found, form friendships in unexpected circumstances, and take greater control in their relationships with parents, they ultimately decide who they will be and what they will do as they stand on the precipice of adulthood. The Last Summer is directed by writer / filmmaker William Bindley, director of the films Judicial Consent, The Eighteenth Angel, and Madison previously; producer for Spark: A Space Tail, Alex & Me, and Pirate Cat. The screenplay is written by Scott Bindley, William Bindley, April Prosser. Netflix will release Bindley's The Last Summer streaming exclusively starting May 3rd, 2019 next month.